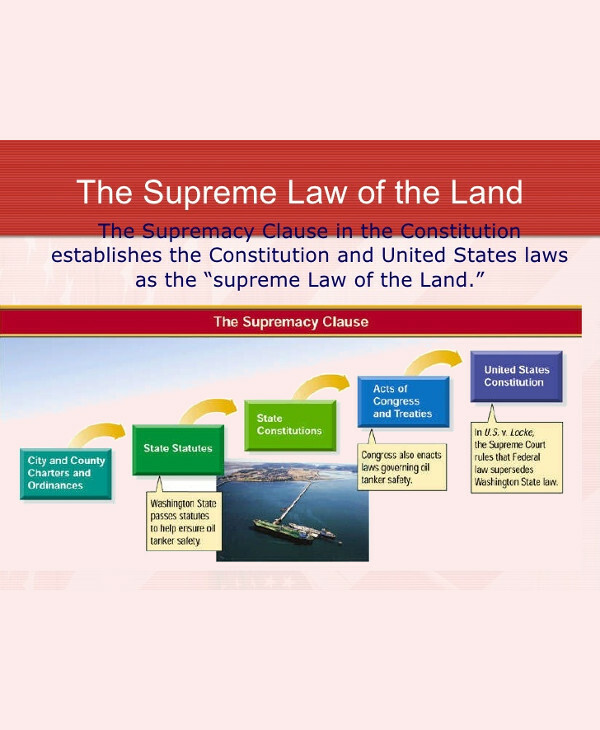 The Supremacy Clause, also known as Article VI, Paragraph 2 of the U.S.Constitution, establishes that the federal constitution and the federal law take precedence over state laws and even state constitutions. It prohibits states from interfering with the federal government’s exercise of its constitutional powers and from assuming any functions that are exclusively entrusted to the federal government. You may also see adverb clause examples. It doesn’t, however, allow the federal government to review state laws before they take effect. 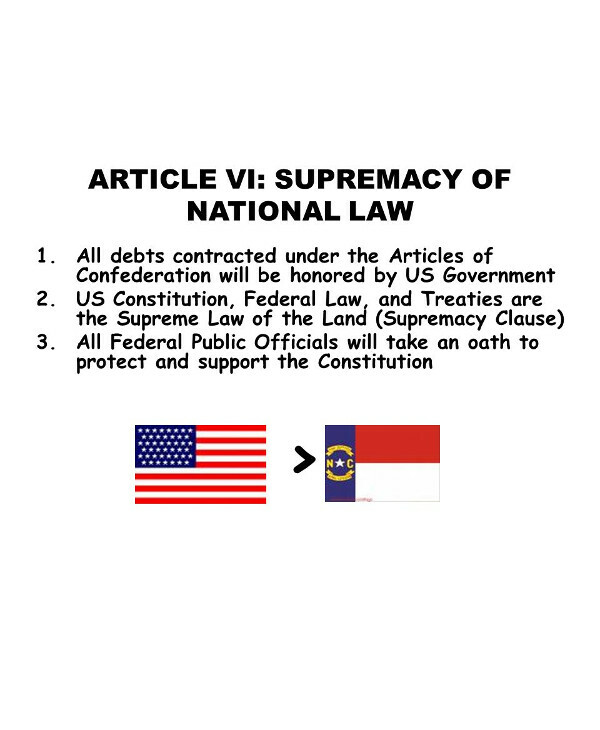 The Supremacy Clause also allowed the new federal government to assume the financial obligations of the old government, and to establish this law as the most important guarantor of national union, which required state and federal officials to take an oath to uphold and defend the Constitution. You may also see dependent clause examples. What happens when state laws conflict with federal laws? The answer can be found on the doctrine known as federal preemption. 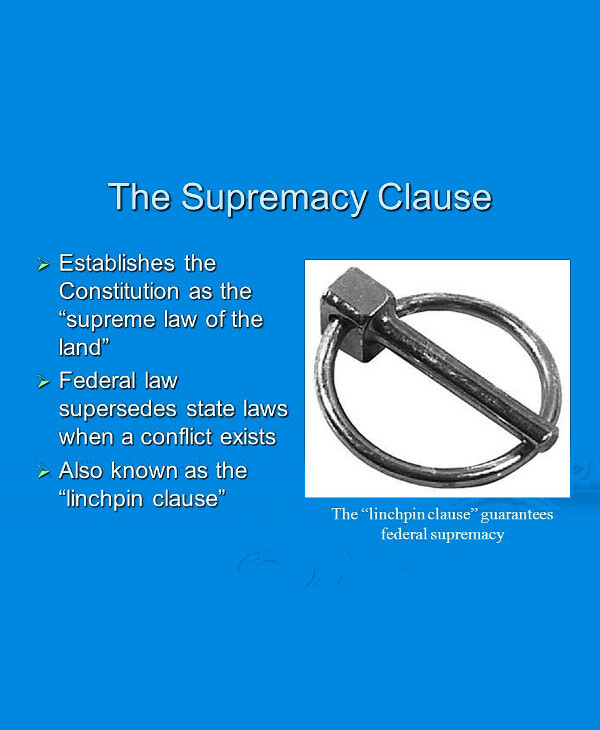 The Supremacy Clause is a clause found within Article VI of the U.S. Constitution which dictates that federal law is the supreme law of the land. You may also see relative clause examples. This means that judges in every state must follow the Constitution, laws, and treatise of the federal government in matters which are directly or indirectly within the government’s control. Use the doctrine of preemption, which is based on the Supremacy Clause, federal law preempts state law, even when the laws conflict. Thus, a federal court may require a state to stop certain behavior that it believes to be interfering with, or is in conflict with, federal law. However, in the absence of federal law, or when a state law would provide more protections for consumers, employees, and other residents than what is available under existing federal law, state law holds. For example, the federal anti-discrimination law does not include LGBTQ individuals as a protected class. You may also see subordinate clause examples. Therefore, an openly gay employee in Kansas can be lawfully fired simply for being gay. But an Illinois employee may sue under state law for wrongful termination if their sexual orientation or gender identity was a factor in the firing. The federal government has broad powers under the Supremacy Clause to create, regulate, and enforce the laws of the United States. The concept of federalism, or that of federal power, has a long-standing history dating back to the late 1700s, during the time in which the nation’s founding fathers signed the U.S. Constitution. Among these powers, the federal government has certain enumerated powers which are specifically spelled out in the U.S. Constitution, including the right to regulate commerce, declare war, levy taxes, establish immigration and bankruptcy laws, and many others. You may also see adjective clause examples. Not only does the federal government have these powers under the U.S. Constitution, but it also has other implied powers, or powers not specifically mentioned in the Constitution, but which they hold. For example, the Constitution does not expressly mention the right to privacy, or the right of people to adopt or seek an abortion. But these rights can be legally inferred by the Constitution itself, or from the later amended Bill of Rights. Either way, the federal government holds authority over many things, some of which aren’t specified yet inferred. You may also see compound sentences. Whether expressed or implied, federal law will almost always prevail when it interferes or conflicts with state law, except in circumstances where the federal law is deemed unconstitutional, or where the Supremacy Clause does not apply. However, there are still plenty of examples where the tension between state and federal laws remain unsolved. For example, several states have already legalized both the medical and recreational use of cannabis, which is still a Schedule I controlled substance under federal law. In this case, it’s mostly a matter of political will and resource allocation. Because of these differences, people living within the U.S. should be aware of the broad powers of the federal government, especially on issues that affect their daily lives, such as bankruptcy issues, discrimination claims, immigration challenges, federal taxation, and many others. You may also see appositive examples. In Madison’s Notes of Debates in the Federal Convention of 1787, the Supremacy Clause is introduced as part of the New Jersey Plan. During the debate, it is first put up for a motion by Luther Martin on July 17th where it was passed unanimously. In Federalist No. 33, Alexander Hamilton writes about the Supremacy Clause that federal laws by definition must be supreme. He states that if the laws do not function from that position, then they amount to nothing, especially noting that “A law, by the very meaning of the term, includes supremacy. It is a rule which those to whom it is prescribed are bound to observe. This results from every political association. If individuals enter into a state of society, the laws of that society must be the supreme regulator of their conduct. If a number of political societies enter into a larger political society, the laws that the latter may enact, pursuant to the powers entrusted to it by its constitution, must necessarily be supreme over those societies, and the individuals of whom they are composed.” You may also see chiasmus examples in literature. In Federalist No. 44, James Madison defends the Supremacy Clause as vital to the functioning of the nation. He noted that state legislatures were invested with all powers not specifically defined in the Constitution, but also said that having the federal government subservient to various state constitutions would be an inversion of the principles of government, concluding that if supremacy was not established, “it would have seen the authority of the whole society everywhere subordinate to the authority of the parts; it would have seen a monster in which the head was under the direction of the members.” You may also see split infinitive examples. 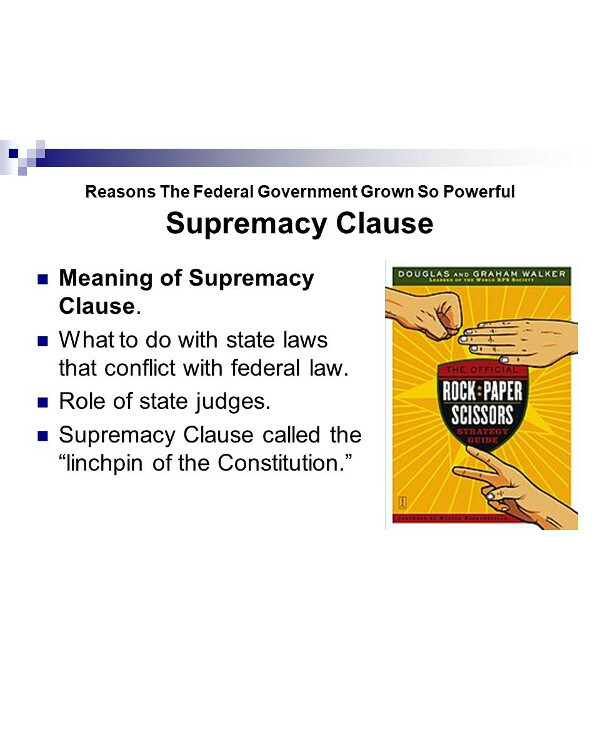 The constitutional principle derived from the Supremacy Clause is known as federal preemption. It applies regardless of whether the conflicting laws come from legislatures, courts, administrative agencies, or constitutions. For example, the Voting Rights Act of 1965, an act of Congress, preempts state constitutions, and Food and Drug Administration regulations may preempt state court judgments in cases involving prescription drugs. You may also see run-on sentences examples. Congress also has preempted state regulation in many areas. In some cases, such as the 1976 Medical Device Regulation Act, Congress preempted all state regulations. In others, such as labels on prescription drugs, Congress allowed federal regulatory agencies to set federal minimum standards, but did not preempt state regulations imposing more stringent standards than those imposed by federal regulators. You may also see appositive sentence examples. Where rules or regulations do not clearly state whether or not preemption should apply, the Supreme Court tries to follow lawmakers’ intent and prefers interpretations that avoid preempting state laws. 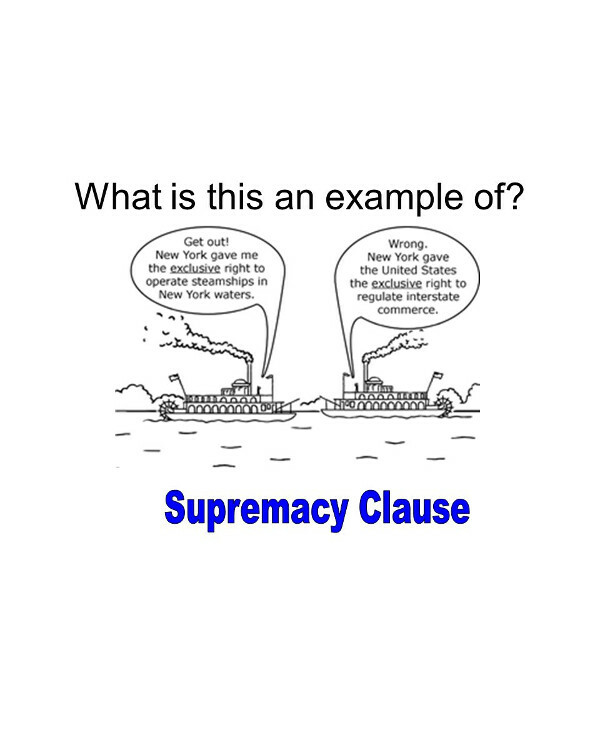 Here are a few real-life cases when the Supremacy Clause was enacted. 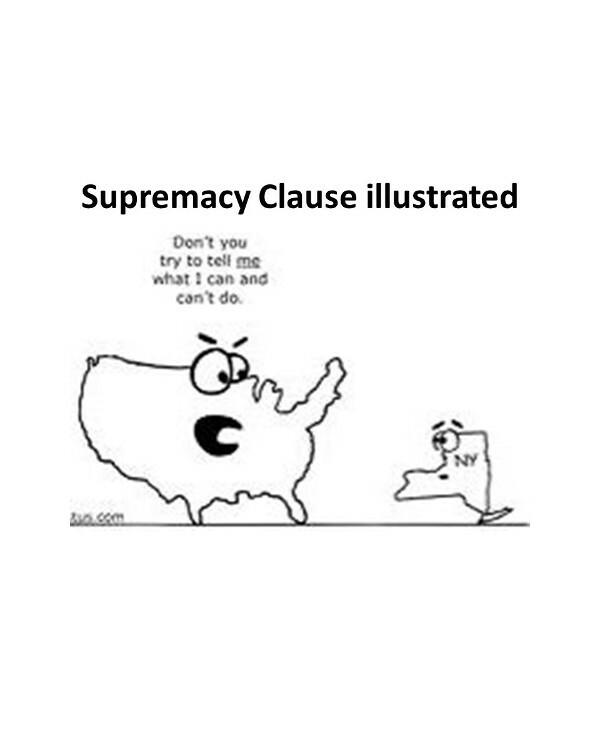 In Ware vs. Hylton in 1796, the United States Supreme Court applied the Supremacy Clause for the first time to strike down a state statute. Virginia has passed a statute during the Revolutionary War allowing the state to confiscate debt payments by Virginia citizens to British creditors. You may also see parallelism examples. In Marbury vs. Madison in 1803, the Supreme Court held that Congress cannot pass laws that are contrary to the Constitution, and it is the role of the Judicial system to interpret what the Constitution permits. Citing the Supremacy Clause, the Court found Section 13 of the Judiciary Act of 1789 to be unconstitutional to the extent that it purported to enlarge the original jurisdiction of the Supreme Court beyond that permitted by the Constitution. You may also see fused sentence. In Martin vs. Hunter’s Lessee in 1816, and Cohens vs. Virginia in 1821, the Supreme Court held that the Supremacy Clause and the Judicial power granted in Article III give the Supreme Court the ultimate power to review state court decisions involving issues arising under the Constitution and laws of the United States. Therefore, the Supreme Court has the final say in matters involving federal law, including constitutional interpretation, and can overrule decisions by state courts. In McCulloch vs. Maryland in 1819, the Supreme Court reviewed a tax levied by Maryland on the federally incorporated Bank of the United States. The court found that if a state had the power to tax a federally incorporated institution, then the state effectively had the power to destroy the federal institution, which can then thwart the intent and purpose of Congress. You may also see balanced sentences. This would make the states superior to the federal government. The Court found that this would be inconsistent with the Supremacy Clause, which makes federal law superior to state law. The Court, therefore, held that Maryland’s tax on the bank was unconstitutional because the tax violated the Supremacy Clause. 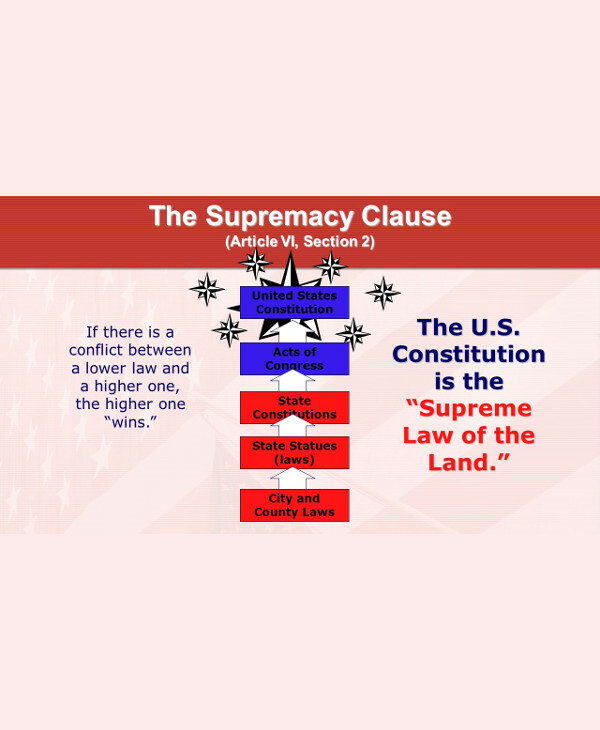 Compared to the other contents of the Constitution, the Supremacy Clause is one that doesn’t come up very often in the daily lives of normal American citizens. However, a clear understanding of where true authority and power lies, and what that power entails, is a duty that every civilian must have, American or not. You may also see exculpatory clause examples.